Google just made the classic console emulator crowd very, very happy. While digging around in the recently-released Android 4.0 Ice Cream Sandwich SDK, some industrious developers discovered support for direct input game controllers via USB. That means your next Android smartphone or tablet (or even your current one, given a timely update) might be able to support PC or Xbox 360 controllers for your favorite games. Android has included support for basic Human Input Devices like mice and keyboards since Froyo, but game controllers are something of an electronic oddity, and require some special attention. 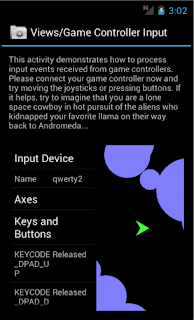 Not that it hasn’t been done before: one of the earliest widespread “hacks” for Android was connecting the friendly Wii Remote via Bluetooth, and with the aid of a special app, controlling popular emulators like Gameboid. In recent months PS3 and Xbox 360 controllers have found themselves in Android clutches, though in both cases, not without considerable effort and creativity. With official support, the downright annoying world of touchscreen controls (at least in the opinion of yours truly) might give way to more robust gaming. There’s only so many simultaneous moves and functions you can program in for a multi-touch screen, but if you’ve played a game like Batman: Arkham Asylum, you know the control with umpteen buttons, triggers and sticks is night limitless. Sony’s official gaming support is possibly making the jump to other hardware soon, not to mention next-generation games like SHADOWGUN, so the news is very exciting indeed. With new advances like 720p screens and Nvidia’s quad-core Tegra 3 on the horizon, who knows what lofty heights Android gaming might achieve in the very near future.